PERU: Siemens has been awarded a contract to supply 97MW of turbines to the Tres Hermanas wind project in Peru. 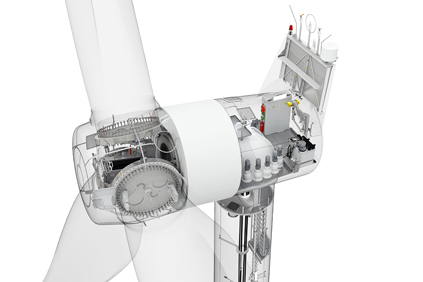 Siemens' geared 2.3MW turbine will be used alongside its direct-drive 3MW turbine. Siemens will manufacture and deliver 25 3MW direct drive and eight 2.3MW geared turbines to the site. It is the second project Spanish developer Cobra Energia is partnering with Siemens in Peru. Siemens will manufacture the blades and geared nacelles for the turbines at its United States plants in Iowa and Kansas. The contract also includes six years of service and maintenance once the project is commissioned, planned for July 2015. The Tres Hermanas project is located near San Juan de Marcona and is next to Cobra's Marcona wind project, which Siemens supplied 11 turbines to in September last year. At the Marcona project, Siemens supplied three SWT 108-2.3MW and eight SWT 108-3.0MW turbines. It was Siemens' first order for turbines in the South American country.